LASH LIFT – Better Than Eyelash Extensions? I Tried It! This week’s #SupportLocal review had me playing “guinea pig in an effort to find out whether a Lash Lift could actually be the solution for my impossibly straight lashes! Let me preface this review by stating that my eyelashes have always had a lovely curl – until my second pregnancy when I woke up one morning to find them as straight as an ironing board. Enter years of looking for (and trying) pretty much everything and anything to get them to curl upwards and help me look a little more awake. Eyelash extensions – I loved these, but they were pricey and damaged by lashes over the two years that I had them. Various eye curlers – including a heated one and heating blasting the eyelash curler with hot air from the hairdryer – none of which helped to hold a curl for longer than half an hour. Pretty much every mascara in the history of ever – I don’t even think I am exaggerating. Hair gel – hey, if it holds you hair in place (look, I was desperate, okay?) (No, it didn’t work). YouTube tutorials – you get the idea. I was ready to try anything. See what I mean? Dead straight! 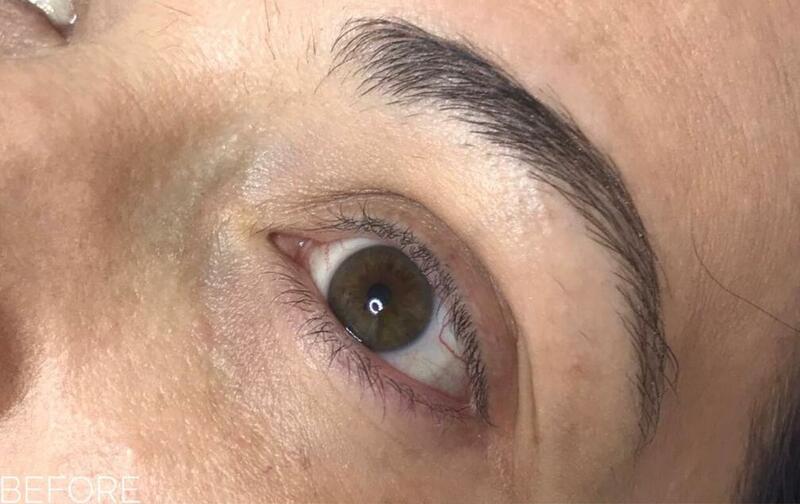 I had almost decided to make peace with my stubborn eyelashes, when Browtique – a local Sandton salon – shared Before & After photos on Facebook of one of their clients that had just had a Lash Lift. 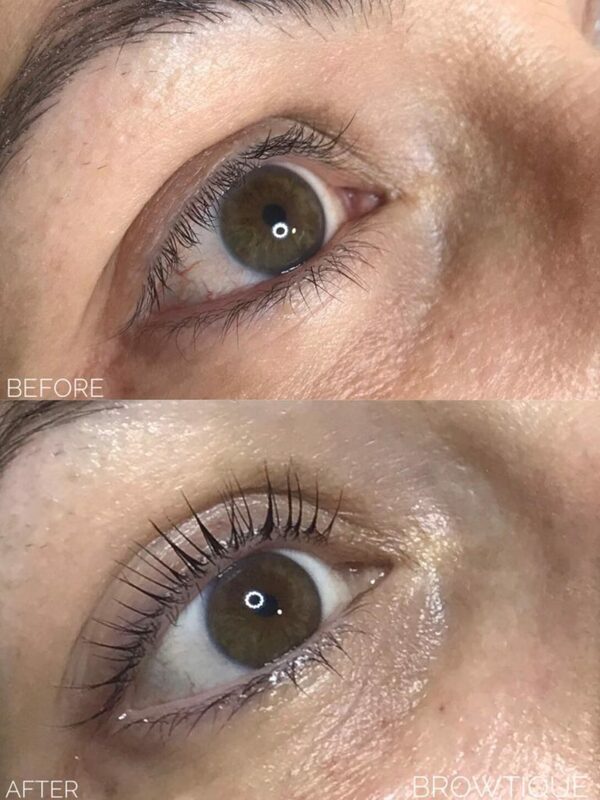 A few hours of research later revealed that a Lash Lift involves applying a solution to the base of the lashes to create a beautiful curl that lasts for 6 – 8 weeks. Almost like a hair perm – but for your lashes! 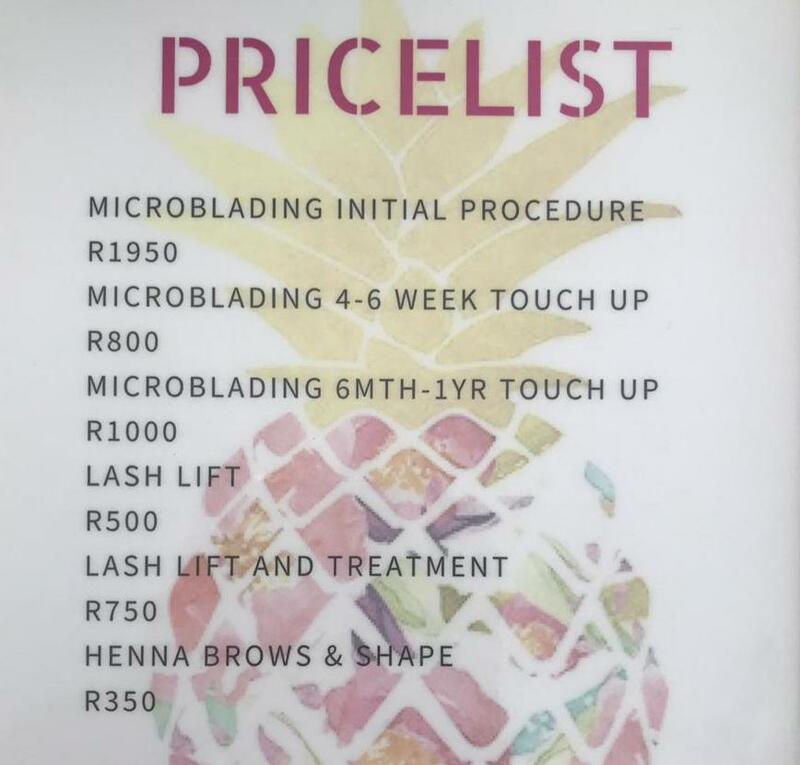 A few day’s later, lying comfortably on a bed inside Browtique’s salon in Sandton, the very efficient and highly professional Natalie explained the process to me. In essence, the one-hour process involves LIFTING, SETTING, TINTING and NOURISHING your lashes. The upper lashes are first bent backwards onto a silicone pad – this forms the basis of the curl your lashes will have once the process is completed. The first solution is gently painted onto the base of your lashes to weaken the bonds that hold the lashes in their standard shape. They are then SET in place by the second solution so that they keep that magnificent curl. Natalie then tinted my lashes so they looked darker and more striking – thereby removing the need for mascara (unless desired). Finally, they are nourished to ensure there is no damage to the lashes, and to help them look and feel strong and healthy! At no point was I uncomfortable or sore – in fact, I could quite happily have fallen asleep. Even better – the RESULTS! EEEEEEEK! And that’s WITHOUT any mascara! As you can see – my lashes changed dramatically without the need for extensions. They look longer and thicker – and they are curly. I cannot believe the difference and will definitely continue to have a Lash Lift every 8 weeks. I think this is also the BEST treatment to have before going on holiday! I also cannot recommend Natalie from Browtique highly enough. You just need to have a look at the magnificent Before & After photos on her Facebook Page (click here to have a look) to see how superb her work is. Browtique is also highly recommended for 6D Microblading and Henna Brows. And yes, I may have decided to go to Natalie for Microblading next. Watch this space! Previous PETROL UP, DSTV UP, WHAT ELSE?